Thank-you, Thanks-you... A thousand times Thank-you! 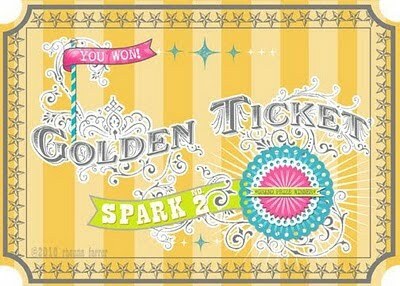 I still feel like a winner! to actually enter the contest! and show you all my Halloween decorating fun. I have just got to get this school thing a little more under control. Where, Oh where are my leisurely days of blogging? watching the dumb numbers from Studio 5. I feel like a dieter that weighs after each little drink of water or flight of stairs. Thanks to all of my blogging and facebook friends that have hooked me up with a vote.. or 25! The witch hat... getting all warmed up for the Halloween season. 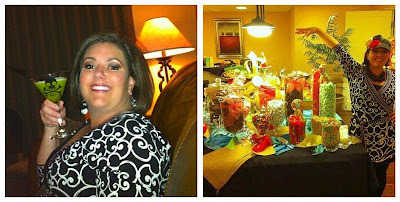 The super easy party glass... rocking Caylor's big day! I'm a finalist in a contest to be a new contributor on a local TV show, Studio 5! I decided a little last minute to enter... but I am jazzed to be a finalist. As of right now I am totally in DEAD last... HOW EMBARRASSING! Vote for me here ! Tell your friends and family to vote for me too. 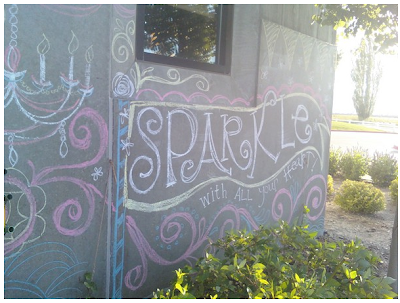 Darling Rhonna chalked the building- so cute! I was a bit tired today. I'm more than a bit crazy! jumped on a great big jumbo jet to head to Florida to be on HSN. There is no rest for the wicked!